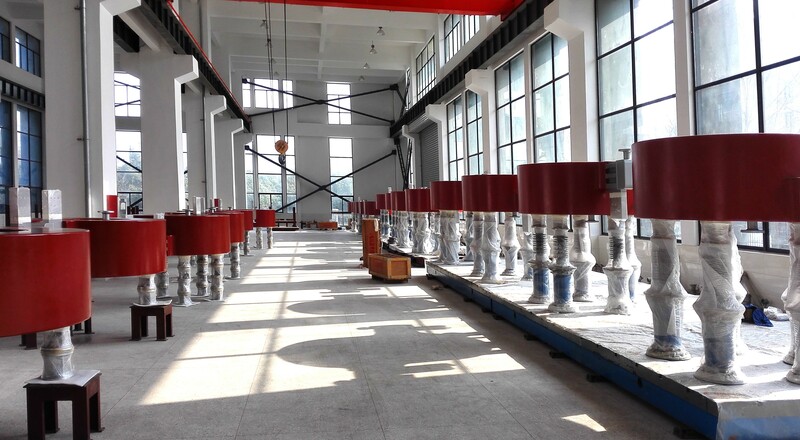 The Chinese Domestic Agency is responsible for the procurement of the 14 poloidal field AC/DC converter units that will provide reliable, controlled DC power to the ITER poloidal field magnetic coils and dummy load for site testing. The series production of poloidal field AC/DC converters is underway in China, following the successful testing of the first prototype unit. Five poloidal field convertor units and four rectifying transformers will be ready for shipment from China in June. In the picture, are rows of high-power DC reactors for the poloidal field converters, ready for transport.